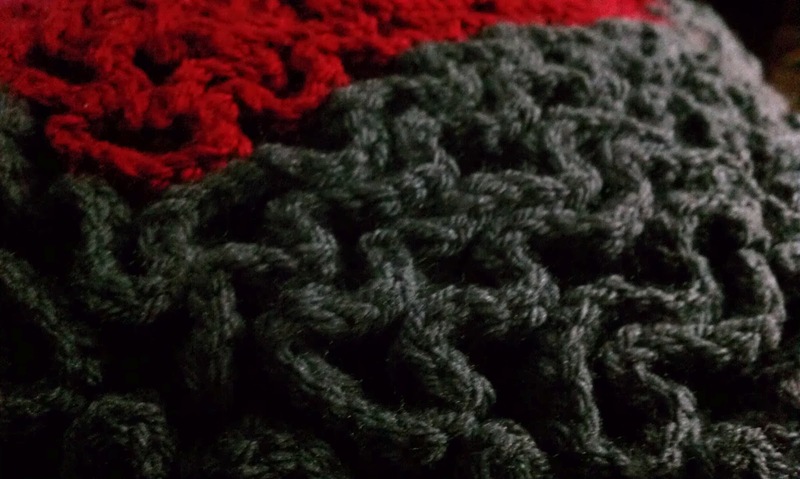 I've recently discovered wiggle crochet. 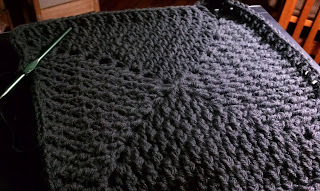 It is this fantastic method where you crochet a grid and then crochet multiple stitches in each grid bar. 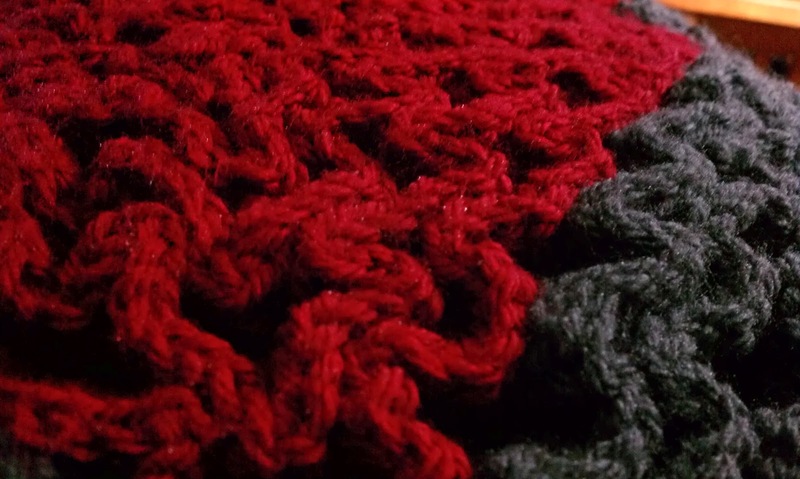 The effect is that you get this great wavy pattern. The patterns are endless. I got it in my head that I was going to design a heart pillow. I created a 17x17 grid and used a spreadsheet document to plan out my pillow. I'm so pleased with the results! I finished it the other day and it was destined to be my coworker's wedding gift. I just love the colors. 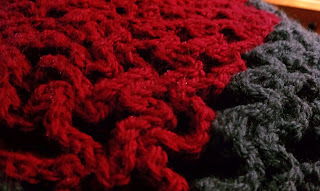 I used a lovely red in Red Heart Soft yarn and charcoal grey in Vanna's Choice. Side view with the back attached. The back is wonderful too. 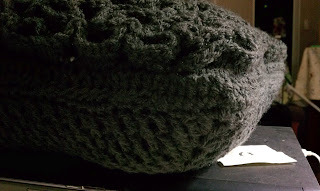 I used a granny square pattern I discovered on Ravelry that alternates FPDC and DC to create this great cabled look. 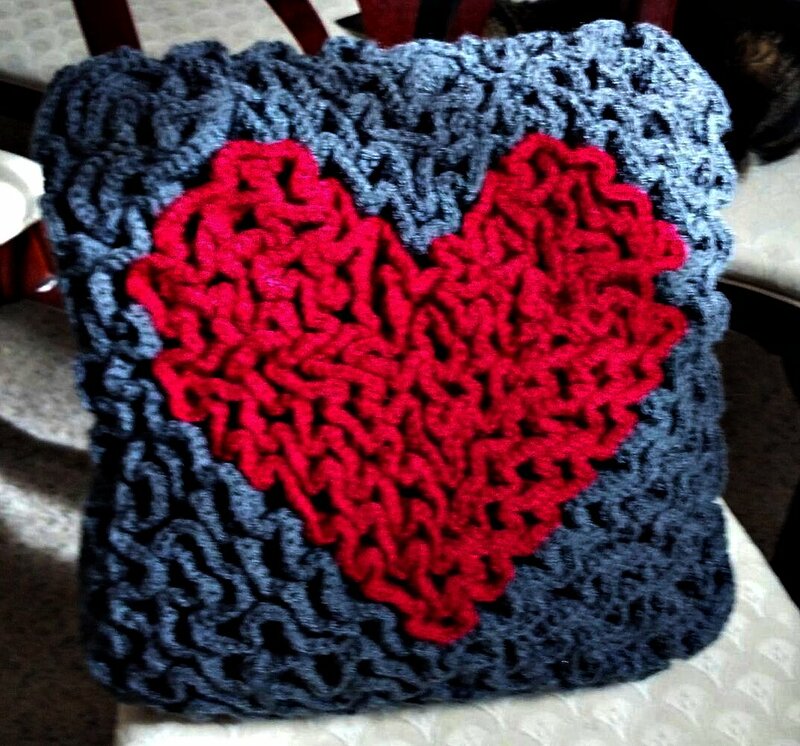 I'm so proud of my pillow!